Finally! We are proud to introduce our exclusive product which is the top class trading tool for everyone who likes to trade more mathematical way. It has so many options, that allows to set trading levels by user its self or let the EA to select and calculate the levels for you automatically. 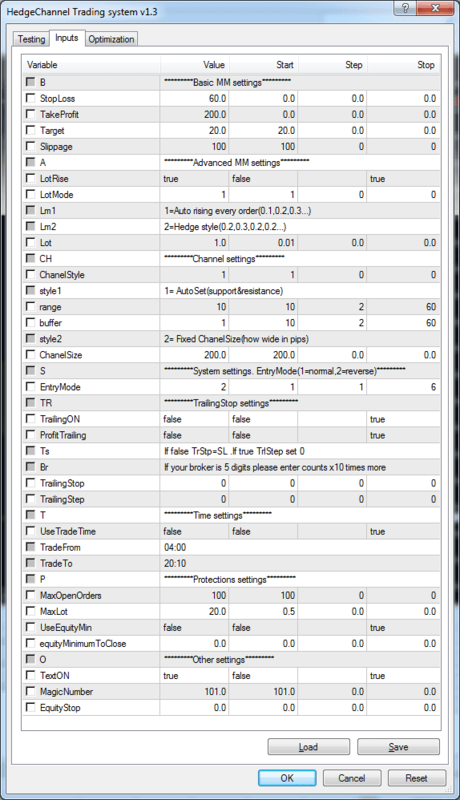 Lots of settings: You can customize Hedge Channel Trading System to your needs. You can change channel settings such as refresh/buffer timing, time settings, security settings, lot size management settings and a lot more. You do not need to draw the important trading levels anymore, let the EA do it for You! (Check the video for detailed presentation). Check out the back test results. It turned 1000$ into almost half million dollars during 16 years of backtest with stable profit! 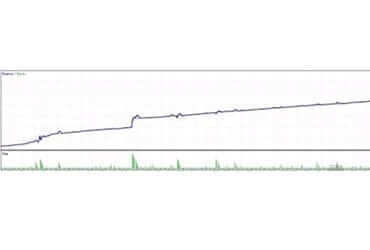 This Hedge Channel Trading System EA can trade in two channel/hedge trading styles. If you set the ChannelStyle parameter to 1 EA will automatically set the support and resistance levels for you. You can increase the range to tell the EA how many candles it should look back to set the levels, the bigger the range – the stronger the levels will be. Also you can adjust the buffer setting, on which depends how often EA will refresh the levels for you. Use 1 if you want to have latest levels on your chart. If you set ChannelStyle to 2, you will be able to set your custom channel. There is a parameter that allows your to set up how wide your channel will be. This new version is equipped with new feature called EntryMode. You can use this option for both trading styles. It can reverse whole trading system, so you can decide by the market conditions what entry mode fits the best at that moments. So if you set EntryMode = 1 it will trade normally – breakout method, buy if the price is above the green line and sell if under red one. When you set EntryMode = 2 it will reverse the trades, and you will be able to trade bounces and retracements inside the channel. Also we use our unique way to control the risks – when auto trading. You can choose how you want to control the lot size management, turn on or off lot rising mechanism. You can even choose which lot size management style you want to use. We strongly recommend to test your settings on back tester and demo before you run it live! Try it yourself, get the Hedge/Channel trading system EA v2.0.